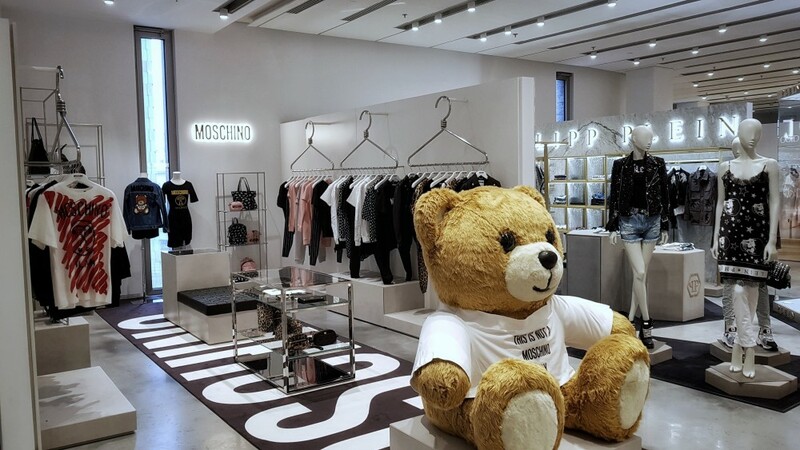 In anticipation of the Moschino x H&M collaboration due in November, the Italian fashion label has unveiled its brand-new retail concept in Paris, where it opened a second store at 255 rue Saint-Honoré. 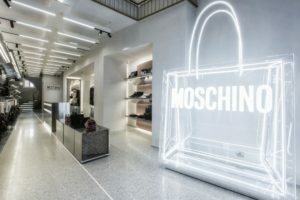 The 270-square-meter premises, inside a typical 18th-century Parisian building, extend on two floors, with the ground floor reserved to accessories and the first floor dedicated to ready-to-wear collections. 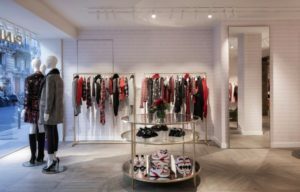 The interior design is elegant and minimalistic, with an abundance of pink granite, Plexiglas and mirrors, featuring steel and black leather furniture. Tecnoshops s.r.l. a group of constantly expanding companies that develops and produces top quality display furniture for customers around the world. Tecnoshops Design&Contract produces commercial display furniture and works with sector professionals and qualified designers to transform customers’ ideas into reality.